There are now 5 houses, in earlier days 4 of these were part of a large building that was used for storage of sugar and grain, delivered to Cazalla by train. 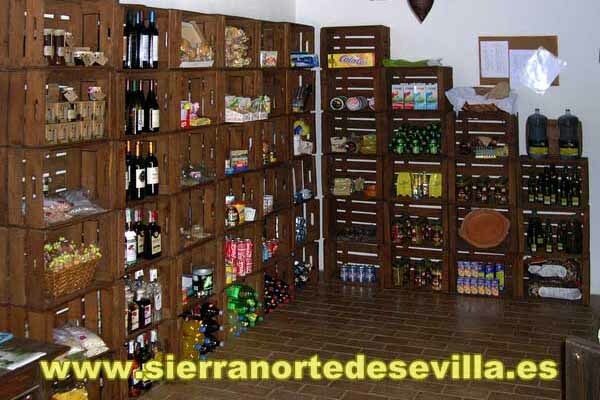 Storage was needed, because the railway station was, and still is, at 8 km from the town. The sugar and grain were important ingredients of the anis liquor that made Cazalla famous all over the world. We have restored this historic building to convert it into a place to rest and relax. An ideal place to disconnect, because of its natural environment, which can truly be called a paradise on earth. 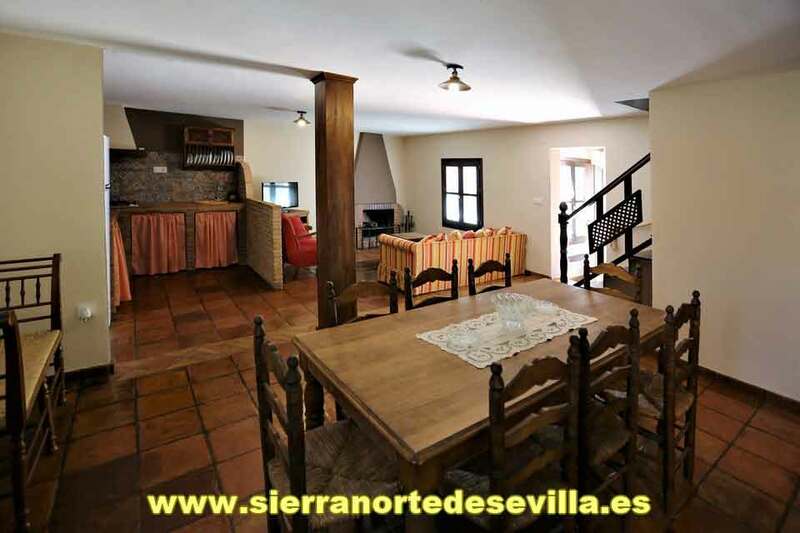 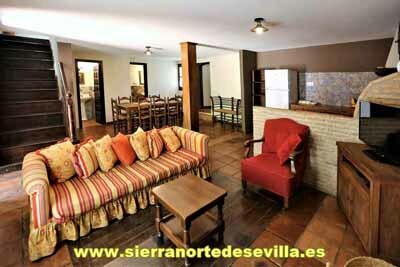 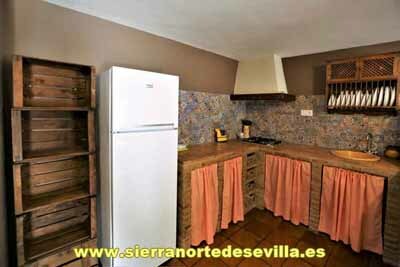 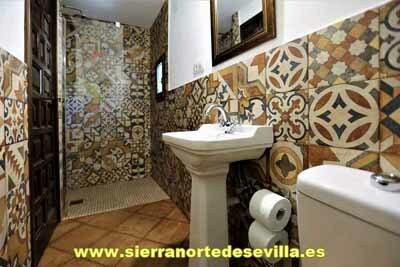 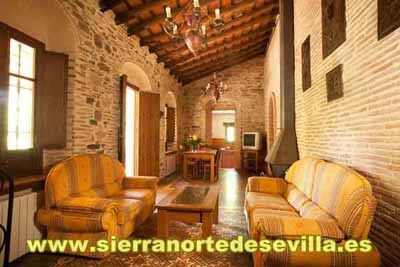 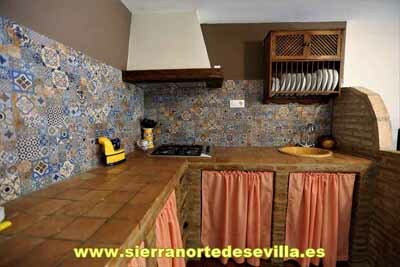 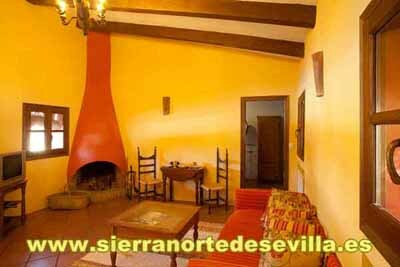 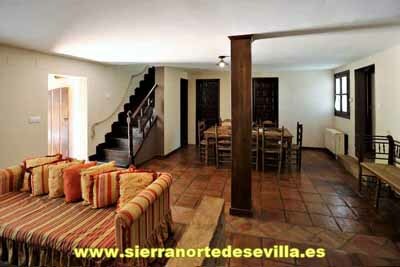 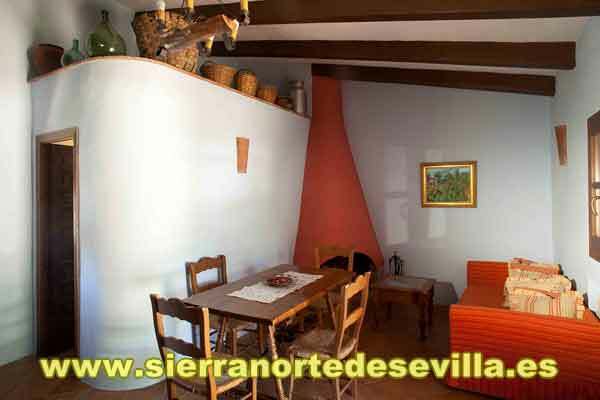 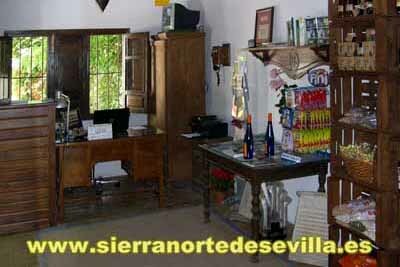 Our house is surrounded by the waters of the river Huéznar and its typical "gallery forest". 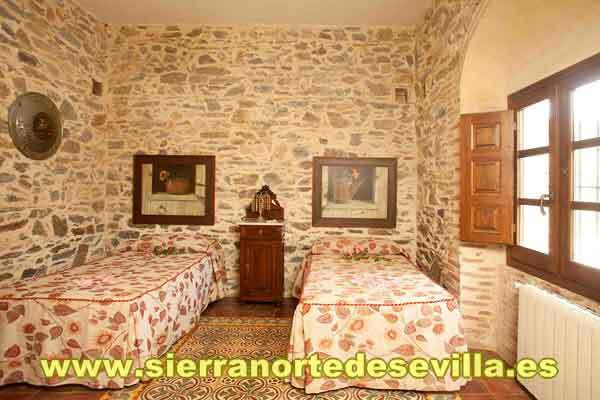 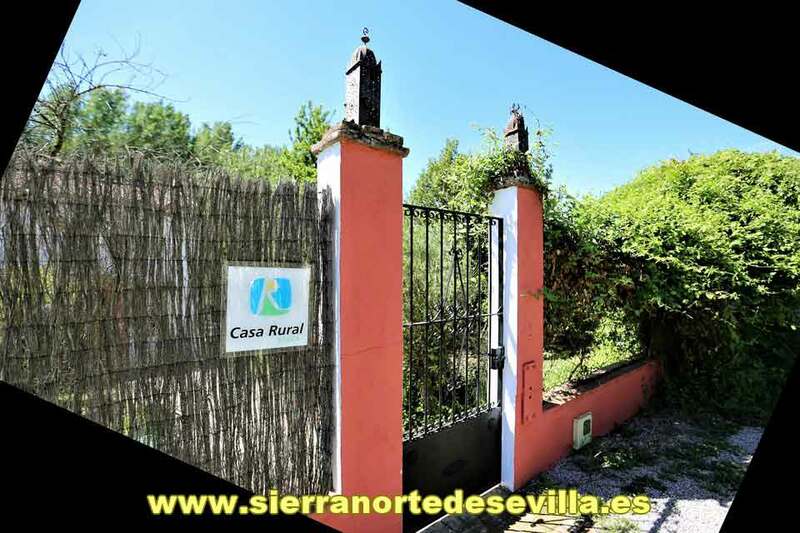 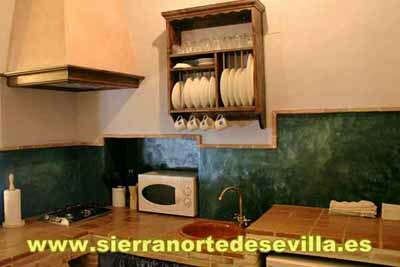 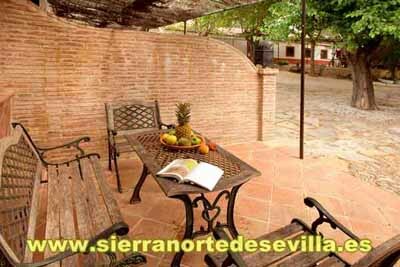 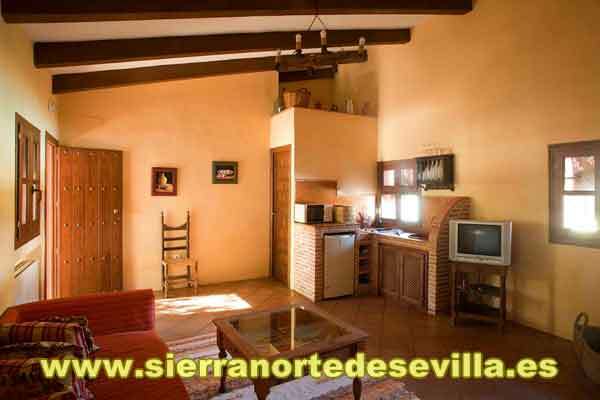 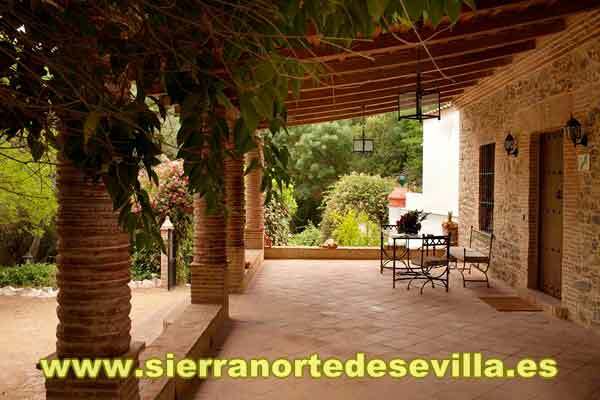 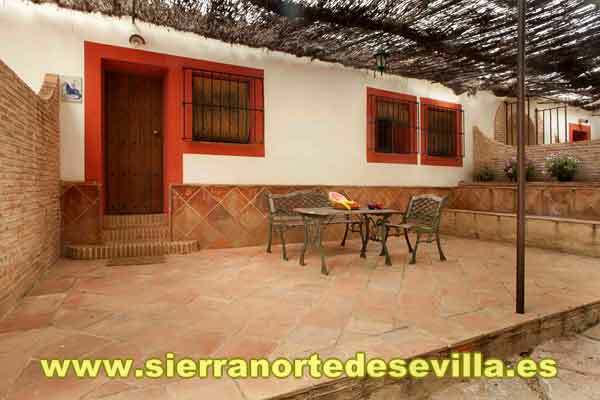 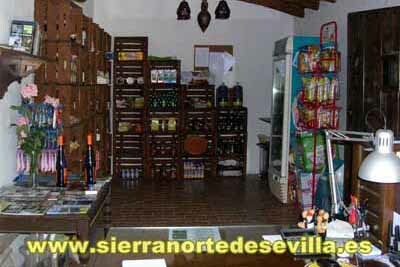 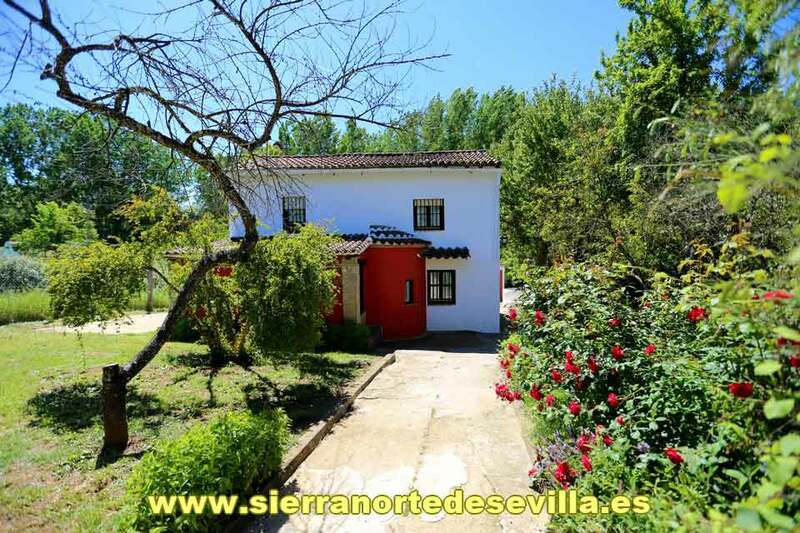 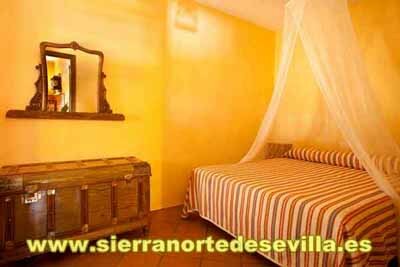 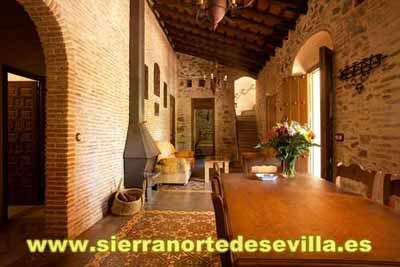 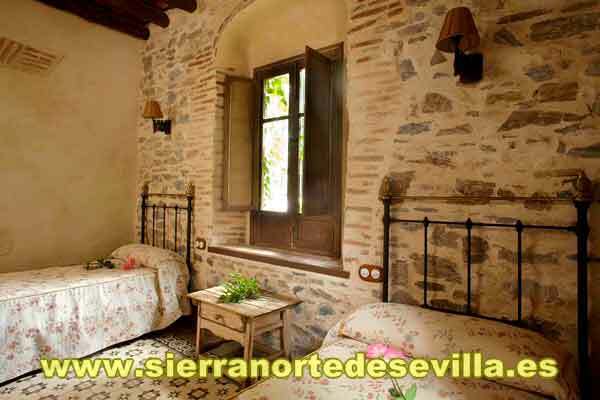 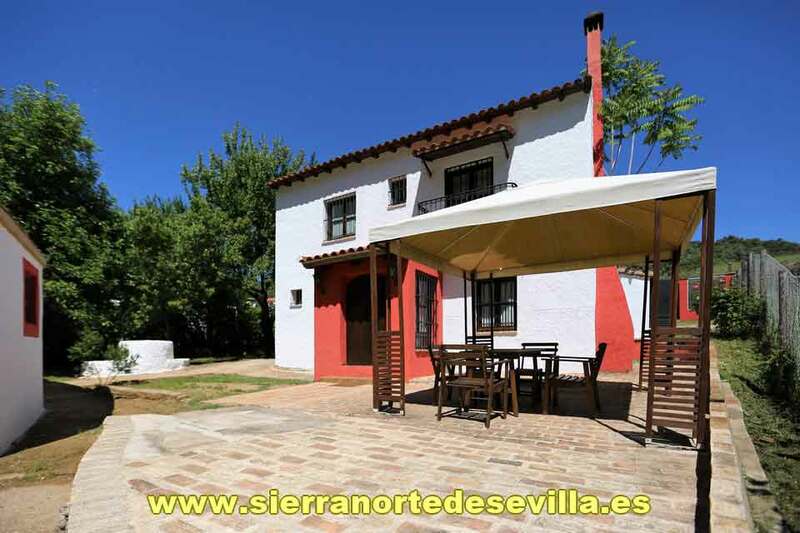 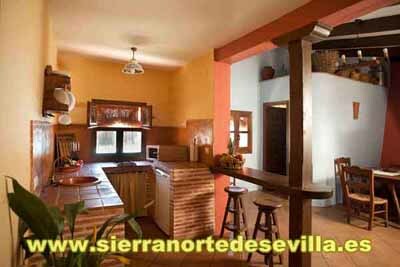 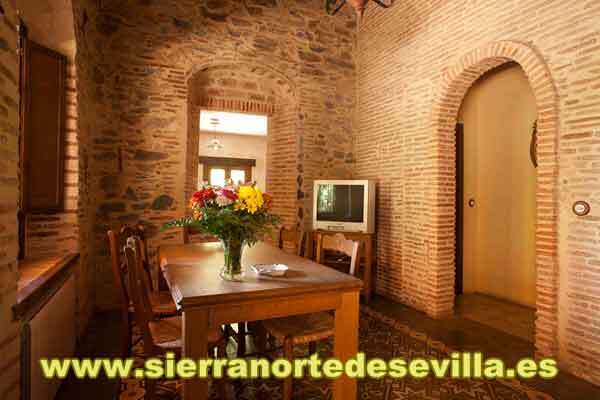 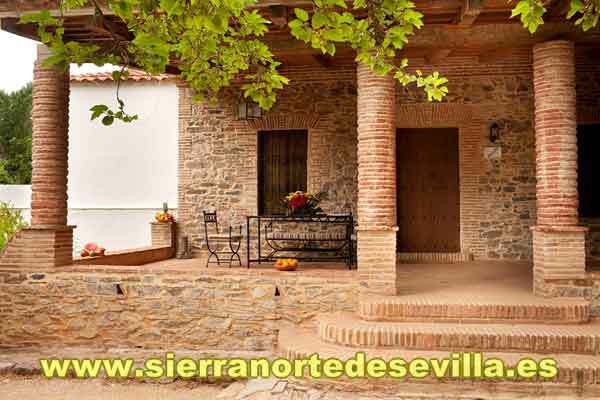 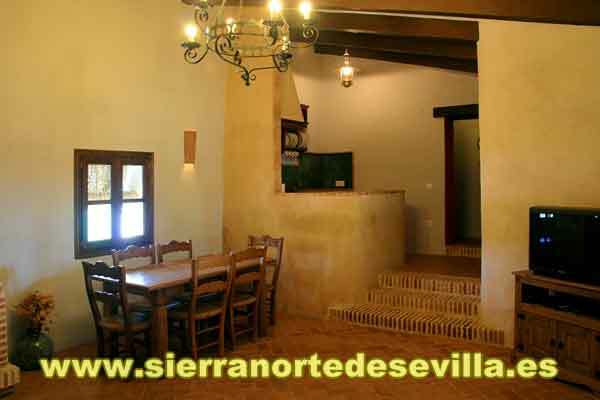 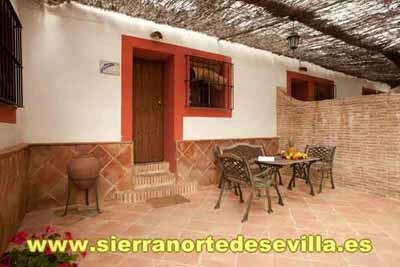 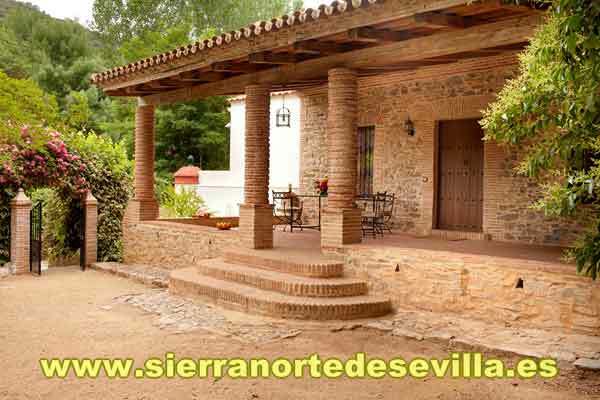 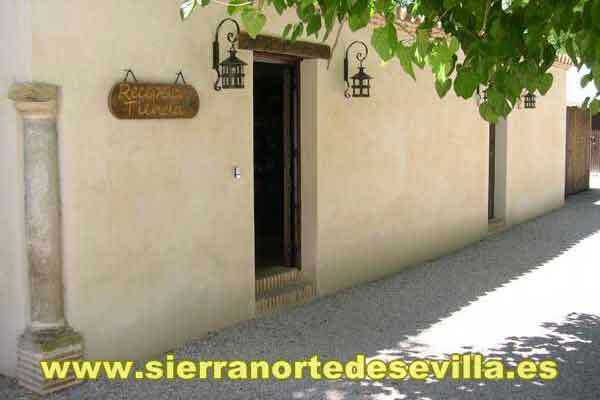 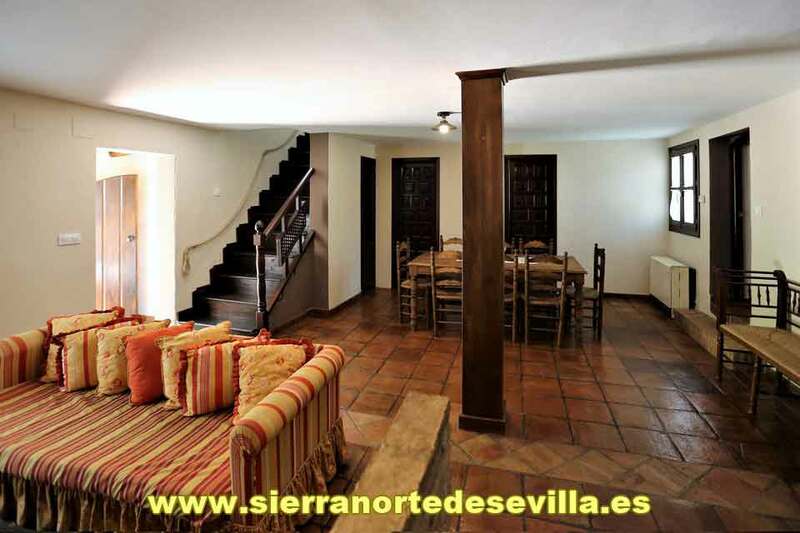 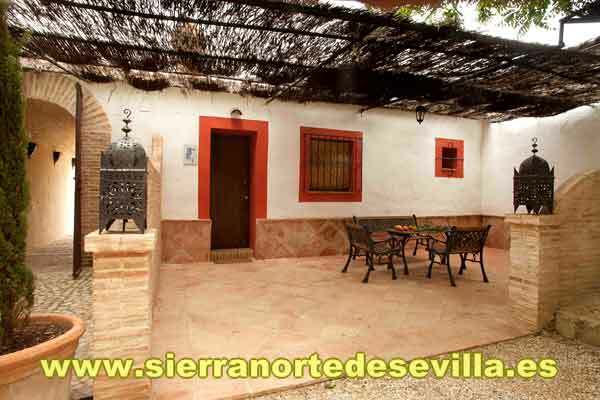 Also our gardens are full of plants and trees, which makes our place one of the most privileged within the Natural Park Sierra Norte de Sevilla..
La Garza Real is the old main house, with three twin bedrooms and one double, and possibility of max. 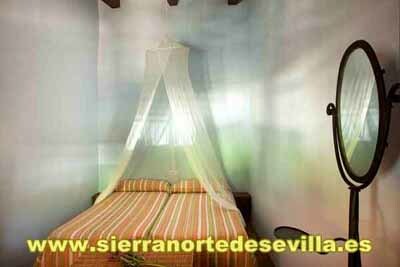 3 extra beds in the room. 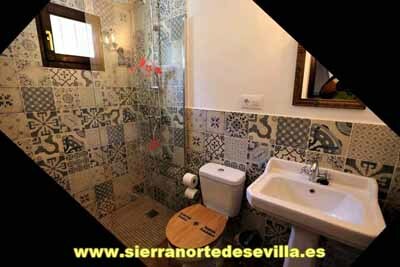 There are two bathrooms, of which one with hydro-massage shower and one with a bath tub. And for shared use with the other houses: 120 m2 swimming pool, parking area, gardens, facilities for washing, drying and ironing clothes. 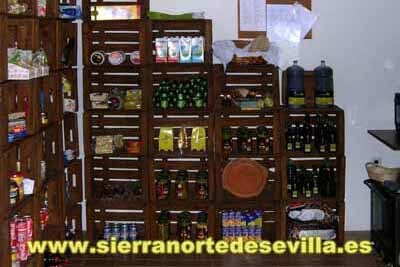 Our shop with basis food products and regional products.